SRES provides socio-economic information in the form of storylines and quantitative assumptions on population, gross domestic product (GDP), and rates of technological progress for four large world regions (OECD-1990, Reforming Economies, Africa + Latin America + Middle East, and Asia). Since the TAR, new information on several of the SRES driving forces has been published (see also the discussion in Nakicenovic et al., 2007). For example, the range of global population size projections made by major demographic institutions has reduced by about 1-2 billion since the preparation of SRES (van Vuuren and O'Neill, 2006). Nevertheless, most of the population assumptions used in SRES still lie within the range of current projections, with the exception of some regions of the A2 scenario which now lie somewhat above it (van Vuuren and O'Neill, 2006). Researchers are now producing alternative interpretations of SRES population assumptions or new projections for use in climate change studies (Hilderink, 2004; O'Neill, 2004; Fisher et al., 2006; Grübler et al., 2006). SRES GDP growth assumptions for the ALM region (Africa, Latin America and Middle East) are generally higher than those of more recent projections, particularly for the A1 and B1 scenarios (van Vuuren and O'Neill, 2006). The SRES GDP assumptions are generally consistent with recent projections for other regions, including fast-growing regions in Asia and, given the small share of the ALM region in global GDP, for the world as a whole. For international comparison, economic data must be converted into a common unit; the most common choice is US$ based on market exchange rates (MER). Purchasing-power-parity (PPP) estimates, in which a correction is made for differences in price levels among countries, are considered a better alternative for comparing income levels across regions and countries. Most models and economic projections, however, use MER-based estimates, partly due to a lack of consistent PPP-based data sets. It has been suggested that the use of MER-based data results in inflated economic growth projections (Castles and Henderson, 2003). In an ongoing debate, some researchers argue that PPP is indeed a better measure and that its use will, in the context of scenarios of economic convergence, lead to lower economic growth and emissions paths for developing countries. Others argue that consistent use of either PPP- or MER-based data and projections will lead to, at most, only small changes in emissions. This debate is summarised by Nakicenovic et al. (2007), who conclude that the impact on emissions of the use of alternative GDP metrics is likely to be small, but indicating alternative positions as well (van Vuuren and Alfsen, 2006). The use of these alternative measures is also likely to affect CCIAV assessments (Tol, 2006), especially where vulnerability and adaptive capacity are related to access to locally traded goods and services. can generate very different land-use change scenarios from those generated by IAMs (Busch, 2006), often with opposing directions of change. However, the need to define outside influences on land use in regional-scale models, such as global trade, remains a challenge (e.g., Sands and Edmonds, 2005; Alcamo et al., 2006b), so IAMs have an important role to play in characterising the global boundary conditions for regional land-use change assessments (van Meijl et al., 2006). 2006). In addressing climate change impacts on land use, Agent-Based Models (ABMs: see Alcamo et al., 2006b) aim to provide insight into the decision processes and social interactions that underpin adaptation and vulnerability assessment (Acosta-Michlik and Rounsevell, 2005). 2003). Not all land-use scenario exercises have addressed the effects of climate change even though they consider time-frames over which a changing climate would be important. This may reflect a perceived lack of sensitivity to climate variables (e.g., studies on urban land use: see Allen and Lu, 2003; Barredo et al., 2003, 2004; Loukopoulos and Scholz, 2004; Reginster and Rounsevell, 2006), or may be an omission from the analysis (Ahn et al., 2002; Berger and Bolte, 2004). 2007). Technological change can be treated as an exogenous factor to the economic system or be endogenously driven through economic and political incentives. Recent modelling exercises have represented theories on technical and institutional innovation, such as the 'Induced Innovation Theory', in scenario development (Grübler et al., 1999; Grubb et al., 2002), although more work is needed to refine these methods. For integrated global scenario exercises, the rate and magnitude of technological development is often based on expert judgements and mental models. 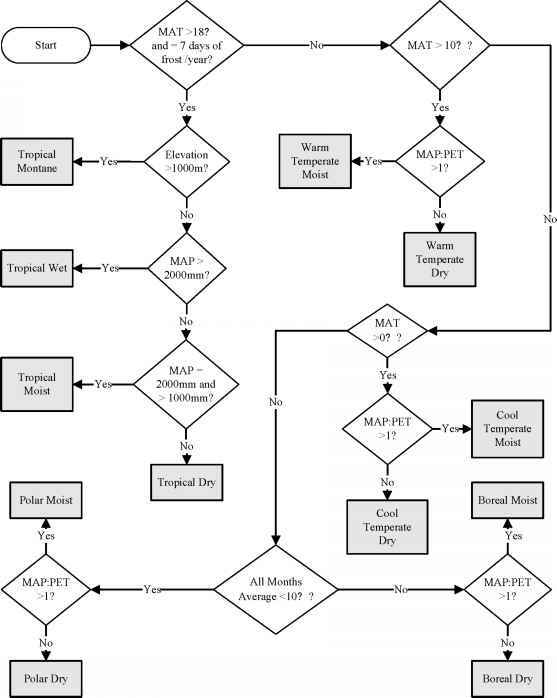 Storyline assumptions are then used to modify the input parameters of environmental models (e.g., for ecosystems, land use, or climate) prior to conducting model simulations (e.g., Millennium Ecosystem Assessment, 2005; Ewert et al., 2005). Such an approach is useful in demonstrating the relative sensitivity of different systems to technological change, but the role of technology remains a key uncertainty in characterisations of the future, with some arguing that only simple models should be used in constructing scenarios (Casman et al., 1999). In particular, questions such as about the rates of uptake and diffusion of new technologies deserve greater attention, especially as this affects adaptation to climate change (Easterling et al., 2003). However, only a few studies have tackled technology, suggesting an imbalance in the treatment of environmental change drivers within many CCIAV scenario studies, which future work should seek to redress. Limited attention has been paid to characterising alternative pathways of future adaptation. Narrative information within scenarios can assist in characterising potential adaptive responses to climate change. For instance, the determinants of adaptive capacity and their indicators have been identified for Europe through questionnaire survey (Schröter et al., 2005b). Empirical relationships between these indicators and population and GDP from 1960 to 2000 were also established and applied to downscaled, SRES-based GDP and population projections in order to derive scenarios of adaptive capacity (see Section 2.4.6.4). The SRES storylines have also been interpreted using GDP per capita scenarios to estimate, in one study, the exposure of human populations under climate change to coastal flooding, based on future standards of coastal defences (Nicholls, 2004) and, in a second, access to safe water with respect to the incidence of diarrhoea (Hijioka et al., 2002). The rate of adaptation to climate change was analysed for the agriculture sector using alternative scenarios of innovation uptake (Easterling et al., 2003) by applying different maize yields, representing adaptation scenarios ranging from no adaptation through lagged adaptation rates and responses (following a logistic curve) to perfect (clairvoyant) adaptation (Easterling et al., 2003). This work showed the importance of implied adaptation rates at the farm scale, indicating that clairvoyant approaches to adaptation (most commonly used in CCIAV studies) are likely to overestimate the capacity of individuals to respond to climate change.